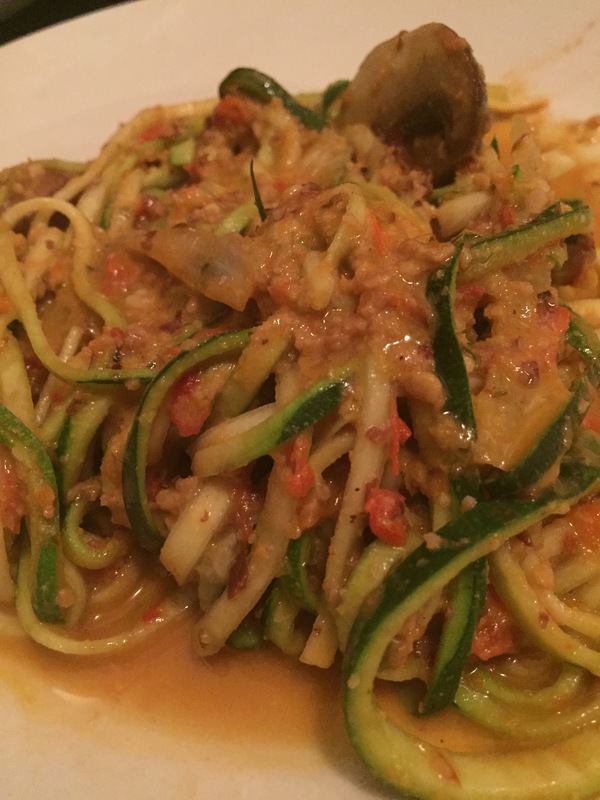 Zoodles in an almond and red pepper “alfredo sauce”! Like many out there, I started off the year on a healthy kick. For the last 5 years, I have done alcohol free January to detox from the holidays but this January I added a 5 day clean eating challenge. Clean eating basically means no processed foods. One of my recipes for the week included an experiment using almonds to make a sauce for my favorite food of the fall, zoodles! Any other seasoning you want! 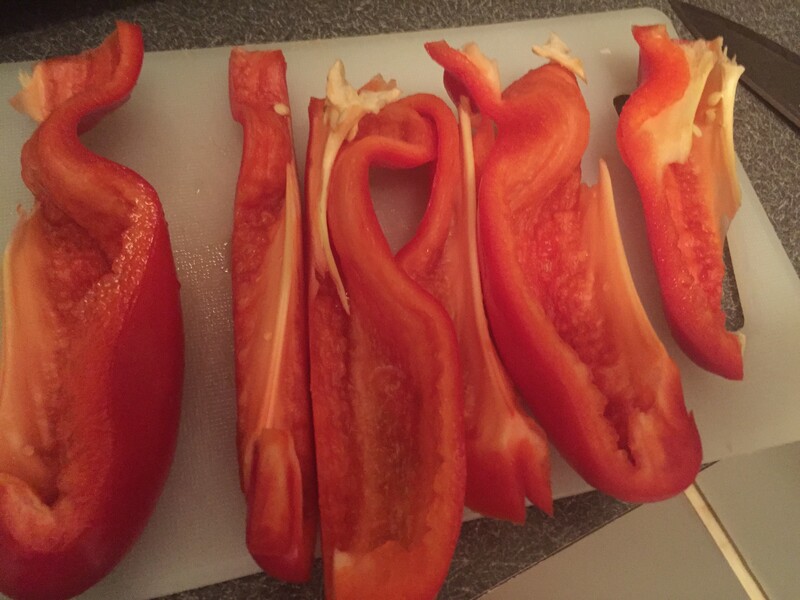 Cut up the red pepper into long wide strips. Spray cookie sheet with olive oil spray and place peppers on the cookie sheet. Add a little bit more spray on top of the red peppers. Let roast in the oven for about 20 minutes. 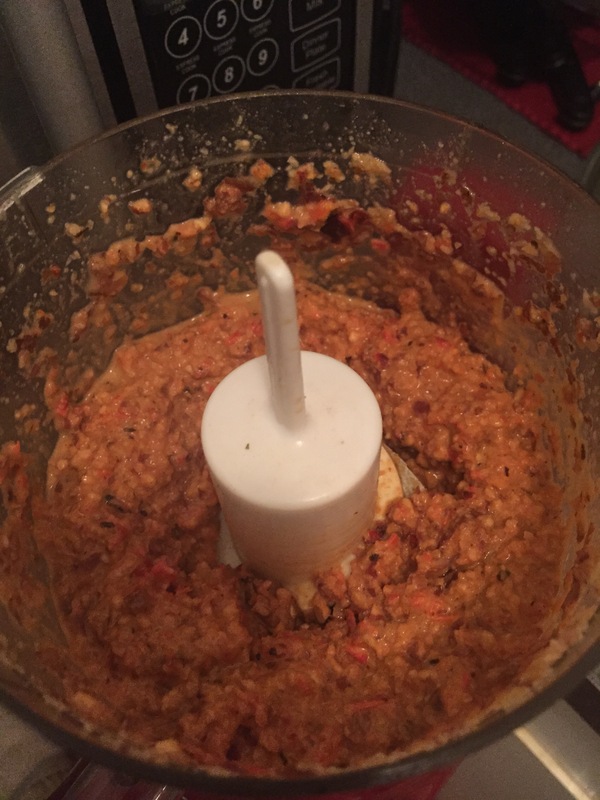 While the red pepper is roasting, in a food processor chop up the 1/2 cup of almonds. 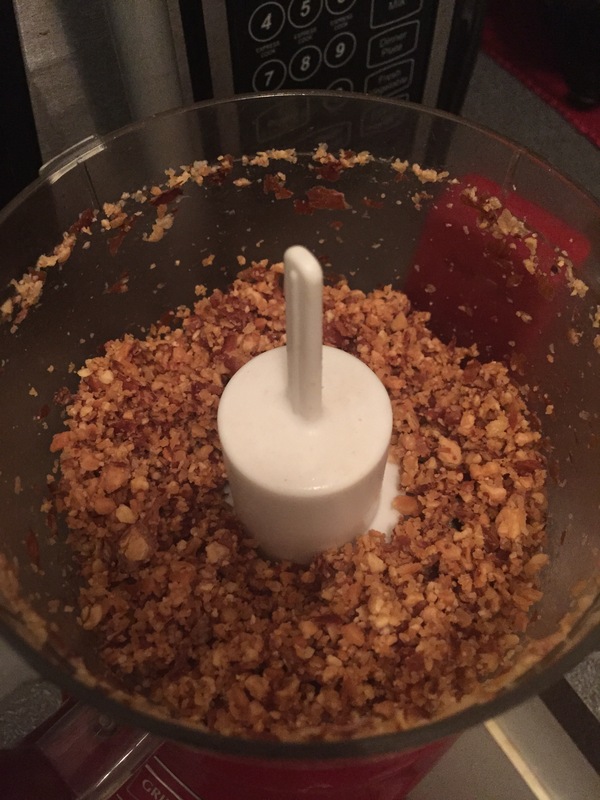 If you want, you can soak the almonds for an hour or so to make them softer and to add some moisture but you don’t have to. 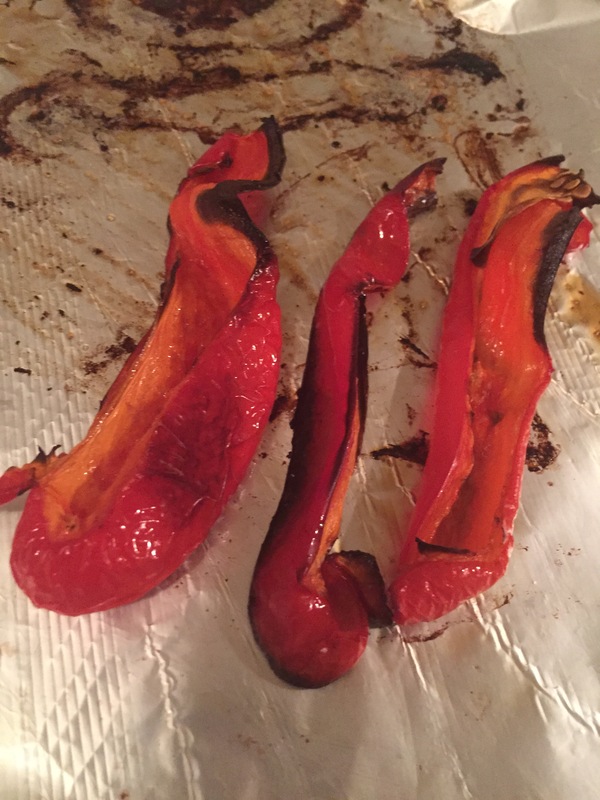 Once red pepper is done roasting, add it to the almonds with a little bit of the vegetable broth and grind. 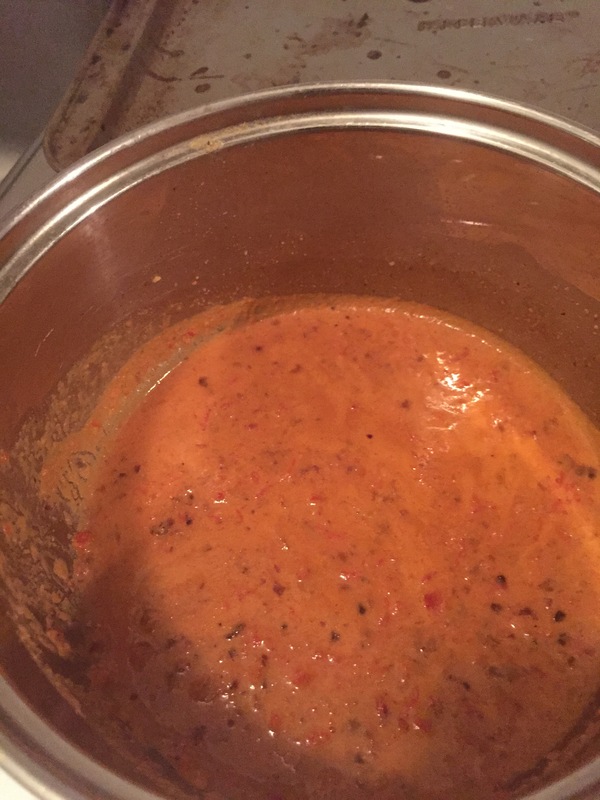 In a saucepan, add the almond and red pepper mixture to the vegetable broth. Add salt, pepper, basil and other seasonings to this now “alfredo sauce”. Let simmer while preparing the zoodles. 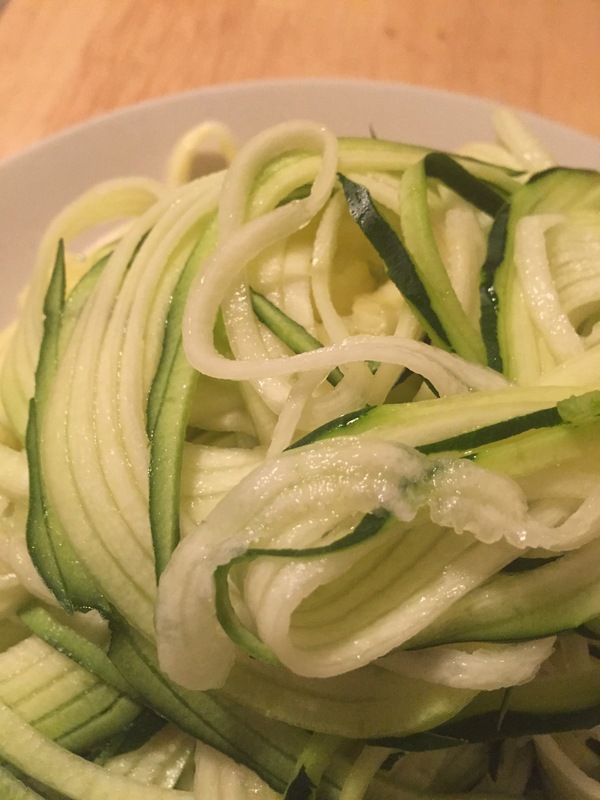 Using your spiralizer, take zucchini and make into zucchini noodles, aka, zoodles. In a wok or larger pan, saute onions and mushrooms. Once onions are soft, add zoodles to heat. Then add the simmering alfredo sauce and toss until the zoodles are fully coated and heated. You can eat as is or add some kind of additional protein such as shrimp or turkey meatballs. This recipe was so good that I surprised myself! The original recipe I found for the alfredo sauce asked for walnuts instead of almonds. Since I’m not really a fan of walnuts, I took the risk using almonds and it turned out great. Happy eating!